Even though both auditory and visual processing skills are required for reading excellence, we have found that the majority of problem readers are suffering from a visual processing disorder(s). In fact, if your child has shown little to no improvement with standard reading tutorial within a six month period, it is highly likely they have an undiagnosed vision or vision processing problem. This is especially true, if your child has good comprehension when being read to but not when reading for them self. 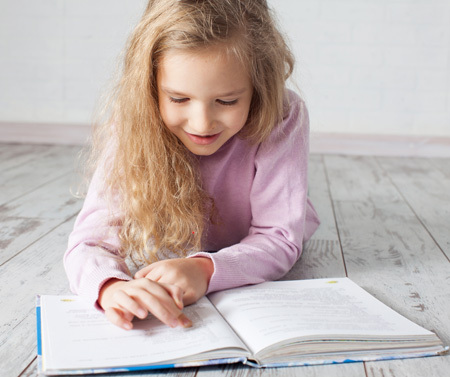 At Reading Without Limits, Dr. David Bloch, OD will evaluate your child for key auditory and visual components necessary for accelerated reading improvement. Some of these components are: sustained visual acuity and focus, eye-coordination, tracking ability, specific auditory and visual pattern recognition, auditory and visual sequencing skills, auditory and visual memory ability. Once the reason for your child’s reading problem has been isolated, treatment is targeted to those areas that are under-developed. Reading and Vision Skills are related. A problem with auditory and/or vision processing skills can cause reading problems. Vision problems that can cause reading problems include blurred vision, focusing difficulty, tracking problems, eye coordination issues, and vision processing problems. Vision processing problems include pattern recognition, sequencing ability, visual memory, speed of recognition, and other visual discrimination skills. Standard eye exams don’t test all visual skills required for good reading skills. Supplemental testing is required. Students with vision processing problems do not respond well to phonetic or sight word methods of learning to read.